Fresh of his win at Wimbledon, Novak Djokovic claims his third US Open title this year! However, the highlight of the Grand Slam was surely the Women’s final with Williams and Osaka, where emotions were off the charts after Williams accused the umpire of being a “thief”. Nonetheless, Naomi Osaka took home her first title ever and became the first Japanese tennis player to win a major tennis tournament! On the other side of the aisle, American’s Mike Bryan and Jack Sock claimed their second consecutive Men’s Doubles Grand Slam title together with the Women’s Doubles landing on Barty and Vandeweghe. Last but not least, Mixed Doubles pair winners, Jamie Murray and Bethanie Mattek-Sands took home their first victory together in Murray’s second consecutive win in the US Open. Congratulations to all the winners and fans that made this happen. 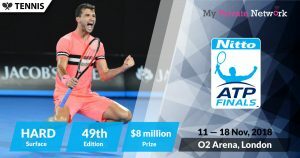 Up next, the 2019 Australian Open is starting this coming 14th of January, 2019. As the fourth and final tennis Grand Slam of the year, it’s time for the 2018 US Open, which will be held at the USTA Billie Jean King National Tennis Center, New York City. The tournament will mark it’s 138th edition and would also be the last Grand Slam to have 32 seeds, reverting to a 16 seed format in 2019. Qualifying starts on the 21st of August, with the main event from 27 August — 9 September. Finals weekend will be on the 8th and 9th of September and full live coverage and highlights will be available from many providers such as the Amazon Video (UK), ESPN (USA), Eurosport (Europe), Fox Sports (Asia Pacific), and many others. The providers in this list with links have been tested to work with our VPN. Click on any that you prefer to quickly access streaming instructions. Click here for the full list of official US Open broadcasters. Live stream starting on 27 August (Monday) @ 16:00GMT | 11:00EDT. Know your timezones? Use WorldTimeBuddy.com if you want to check your timezone accurately. Our timezone is set to GMT+1 (BST/IST). Source: Official 2018 US Open Schedule. Broadcasting rights for the US Open is far reaching with almost all countries around the world providing streams in one form or another. However, if you’re not currently in your home country or your stream is geo-restricted, then you’ll need to connect our VPN to that country first before attempting to stream. 2) Install our VPN on any device that you’ll be using to watch the 2018 US Open. 3) Connect to the VPN country of your favorite provider. For example, connect to our U.S (USA) servers for ESPN or U.K (GBR) servers for Amazon Video. Watch the entire tournament from Amazon Video. However, you’ll need a paid subscription with them to access their content. Availability: U.K only – Connect to our U.K (GBR) servers first before starting the stream! 1) Sign in to your Amazon Prime Video account. Tip: US Open will be airing live on 27 August on Amazon Prime Video. Watch the entire tournament from ESPN. However, you’ll need a paid subscription with them to access their content. Availability: U.S and Australia only – Connect to our U.S (USA) or Australia (AUS) servers first before starting the stream! Tip: US Open will be airing live on 27 August on ESPN. 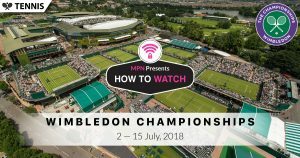 Watch selected preview and highlights of the tournament from Tennis Channel for free. There is a paid version which will provide streams for the entire tournament, however, you’ll need a paid subscription with them to access their content. Availability: U.S only – Connect to our U.S (USA) servers first before starting the stream! 1) Head to the Tennis Channel website. Tip: US Open will be airing live from 27 August on Tennis Channel. 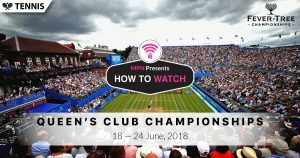 Watch the entire tournament from Eurosport. However, you’ll need a paid subscription with them to access their content. Availability: Europe only – Connect to our European (ESP, FRA, DEU, ITA, CHE, etc.) servers first before starting the stream! Tip: US Open will be airing live from 27 August on Eurosport 1. Watch the entire tournament from Fox Sports. However, you’ll need a paid subscription with them to access their content. Availability: Asia Pacific only – Connect to our supported Asia Pacific (MYS, SGP, etc.) servers first before starting the stream! 1) Sign in to your Fox Sports Asia account. Tip: US Open will be airing live from 27 August 2018 on Fox Sports to local providers such as Astro Ch814 (Malaysia) and Singtel TV Ch112 (Singapore). Fox Sports’ US Open News. Watch the quarter-finals, semi-finals, and finals of the tournament from SBS for free. Whilst SBS doesn’t charge for their free content, you’ll still need a free SBS account to access them. Availability: Australia only – Connect to our Australia (AUS) servers first before starting the stream! Tip: US Open will be airing live from 27 August 2018 on SBS On Demand. Watch the entire tournament from TSN. However, you’ll need a paid subscription with them to access their content. Availability: Canada only – Connect to our Canada (CAN) servers first before starting the stream! Tip: US Open will be airing live from 27 August on TSN 2 and TSN 3. Watch the entire tournament from HotStar for free. Availability: India only – Connect to our India (IND) servers first before starting the stream! Tip: US Open will be airing live from 27 August on HotStar Tennis. You will see the live stream link available when the game is on. Watch the entire tournament from Sky Sport. However, you’ll need a paid subscription with them to access their content. Availability: New Zealand only – Connect to our New Zealand (NZL) servers first before starting the stream! Tip: US Open will be airing live from 27 August 2018 on Sky Sport 1. Watch the entire tournament from SuperSport. However, you’ll need a paid subscription with them to access their content. Availability: South Africa only – Connect to our South Africa (ZAF) servers first before starting the stream! Tip: US Open will be airing live from 27 August 2018 on SuperSport.